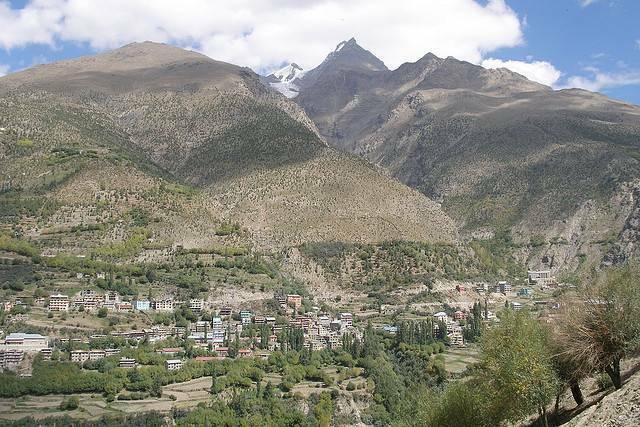 Keylong is the administrative centre of Lahaul and Spiti district and is located on the Manali-Leh highway. Famous for the Kardang Monastery, Shasur (Sha-Shu )and Tayul monasteries are also in vicinity. Keylong is a place that offers a peep into the Buddhist culture of the valley. Keylong is famous for the Lahaul festival celebrated in July every year and attracts many to be part of the celebrations of the locals. Keylong has the Triloknath shrine that is famous with Hindus and Buddists and gives a glimpse of the Lahaul architecture. Keylong is one of the places where travellers stop to spend the night while doing the world famous Manali-Leh road trip. Manali-Leh highway called as mother of all roads by some, passes through some of the highest passes in the world.